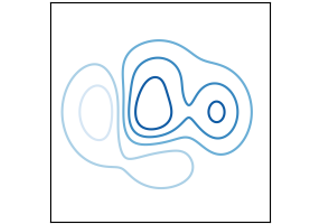 Matplotlib tries to make easy things easy and hard things possible. You can generate plots, histograms, power spectra, bar charts, errorcharts, scatterplots, etc., with just a few lines of code. For examples, see the sample plots and thumbnail gallery. This is the documentation for Matplotlib version 3.0.2.post2268+g9f891c621. To get started, read the User's Guide. Trying to learn how to do a particular kind of plot? Check out the examples gallery or the list of plotting commands. Check the FAQ and the API docs. For help, join the gitter channel and the matplotlib-users, matplotlib-devel, and matplotlib-announce mailing lists, or check out the Matplotlib tag on stackoverflow. The search tool searches all of the documentation, including full text search of over 350 complete examples which exercise almost every corner of Matplotlib. You can file bugs, patches and feature requests on the issue tracker, but it is a good idea to ping us on the mailing list too. Matplotlib ships with several add-on toolkits, including 3d plotting with mplot3d, axes helpers in axes_grid1 and axis helpers in axisartist. A large number of third party packages extend and build on Matplotlib functionality, including several higher-level plotting interfaces (seaborn, holoviews, ggplot, ...), and two projection and mapping toolkits (basemap and cartopy). Matplotlib is the brainchild of John Hunter (1968-2012), who, along with its many contributors, have put an immeasurable amount of time and effort into producing a piece of software utilized by thousands of scientists worldwide. If Matplotlib contributes to a project that leads to a scientific publication, please acknowledge this work by citing the project. A ready-made citation entry is available.